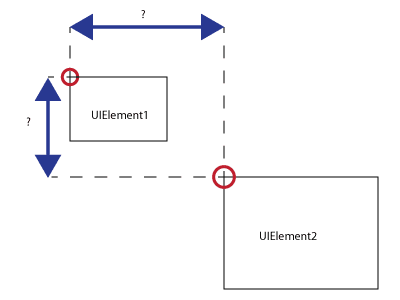 In this post, we will discuss how we can determine the position of one UIElement with respect to other element. Let's create a view which has two button. When we click first button, the position of 2nd button (with respect to first element) is displayed in a text block.